"My family had a great time at all locations!" Thanks! My family had a great time at all locations. Guide you had assigned by name of Son speaks good English and explained the locations well. Driver for the entire trip was good as well as he was careful with his driving. Overall it's a good trip. Before I forget, thank you very much as well for the birthday cake and flowers that was left at the hotel for me by Tran who met me to collect the remainder of the tour fee on my arrival. Warm regards and a Happy New Year to you. "Great Travel Agency, super helpful and professional people working there!!" I had planned - since almost the beginning of 2018 - a one month trip to Vietnam, including a 5 day trip to Cambodia, before actually going on that trip at the beginning of November. My husband and I just got back, and had an amazing time!!! We had a custom trip, all arranged by Authentik Travel, with a driver and guide for each of the 4 different regions in Vietnam! At my request we avoided most of the more common tourist areas, just spent a couple of nights each in Saigon and Hanoi, and traveled all the way North to the Chinese border via Ha Giang, Cao Bang, Bao Lac and Ba Be Lake. 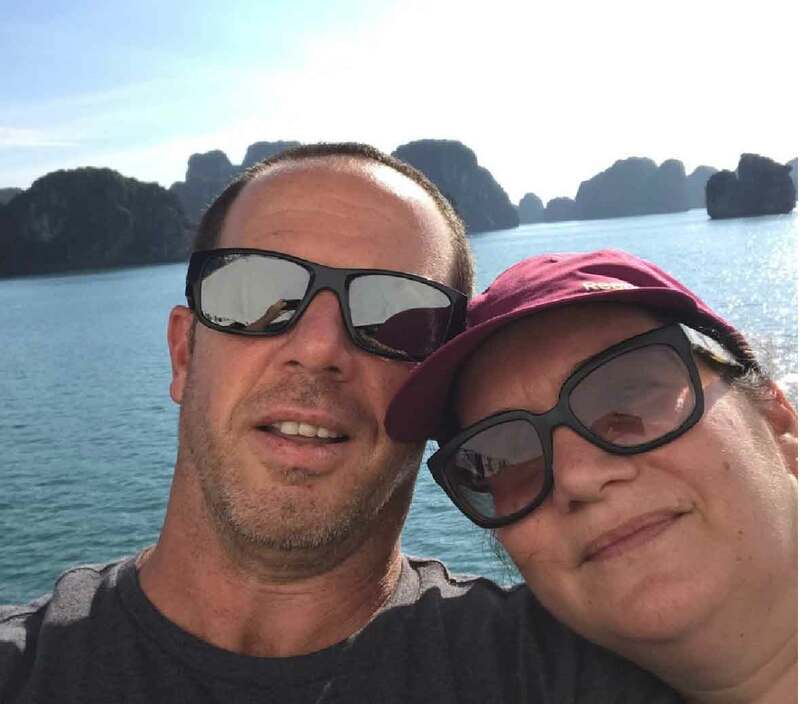 My Travel Consultant - Ms. CHU ANH - was absolutely amazing, SUPER helpful, very patient and knowledgeable - and answered all my probably close to 70 emails immediately - quite amazing!!! I changed my proposed itinerary about 10 times, added more days, more flights (3 local ones) and different towns and routes. She NEVER made me feel as though I had too many changes or requests, and having just come back I am so grateful for the service and perfect executed trip. And all our drivers and guides, in each of the 4 areas we went to, were very good, and there was absolutely nothing that went wrong or did not work out. We chose 3 star Hotels, which were much nicer than we expected! Ms. Chu Anh even had a birthday cake ordered for the day we arrived on our last day in Hanoi, which was a super surprise, and very nice of her and her staff. We also met in their office, where they greeted us super friendly, and gave us little gifts! Their staff of probably around 20 people all seemed very caring, and competent!! Overall - an excellent local Travel Agency that I can highly recommend! Also, their price was very competitive; some other Agencies that I initially dealt with were much less efficient and accommodating (and told me that several areas I wanted to visit were not available through them) and charged quite a bit more. So, we were VERY happy having chosen Authentik Travel! All in all, we HIGHLY recommend their service!! Thanks Mr Hoang Dinh for planning such a great plan for our first trip to Vietnam, all details are well taken care and our friendly tour agent Mr Hoa is very professional in his service and tried his best to fulfil the needs of our big group of 11, we brought back many good memory from the trip. We will be back and Authentik will be our choice of tour agent for sure! I wanted to praise Authentik Travel for they commendable services. From trip planning to services on the our Vietnam holiday, it was meticulously planned. A show of appreciation to Ms Candy Bien for your outstanding service, I really appreciated all your hard work as the trip turned out really really well. It was precisely organised as I expected, and I really can't find any fault to it. The diversity of the 2 weeks trip was greatly welcomed and appreciated by my friends and I. 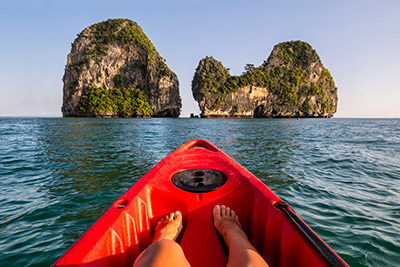 From the beautiful hotels (with banquets for breakfasts) to the challenging hike through the natural beauty of the untouched jungle to the wonderful cruise through the lesser travelled path of Halong Bay. But nothing beats the rock star welcome we received at their office when we arrived to make the final payment. It was fun! I’m glad I chose Authentik Travel services. There were other agencies when I started my research. One thing that won me over was because you were quicker on your responses and that all my queries/questions were promptly and patiently answered. If there is a chance in the future, I would use Authentik's service again for a trip to Myanmar, Cambodia and Laos. I would be very happy to have you plan my holiday again. I would recommend Authentik Travel services to anyone thinking of travelling to South east Asia.